$10.80 for a Custon Cell Phone/iPod Skin + Free Shipping! Regularly $25! Head over to Mamasource and you can get a great deal on custom cell phone and iPod skins! If you order before 12/14, you'll get guaranteed Christmas delivery, making this a great gift! Stuff their stockings with fun, functional gifts they’ll use dozens of times a day: personalized photo cell phone and iPod skins from Your Custom Skin. Simply upload a favorite photo or select from some cool designs, follow the easy step-by-step instructions, and you’ll receive a full-color skin, cut to fit the specific cell phone or iPod. All covers are printed on durable Scotchprint Graphics 3M™ material that can be easily put on and removed without harming the surface of the phone. 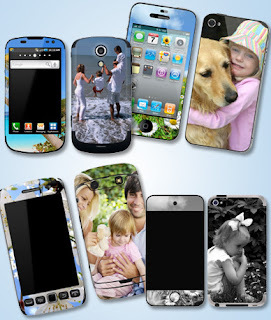 The skins will fit any brand of cell phone or iPod including Motorola, HTC, Blackberry, Apple and Samsung. The deal is on sale for $12, but new Mamasource accounts can use the code DEC10 to get it down to $10.80! Free shipping is also included with the deal.